In the aftermath of a severe storm, a fallen or a damaged tree is one of the saddest sights a proud garden owner can experience after walking out the door. While bushes and flowers can easily grow back, a tree that has its trunk damaged can be very hard to bring back to life. In such situations, it’s a common misconception to believe that the bad weather is the only factor that leads to the damage. However, at least 80% of these instances involve trees that had pre-existing health or structural problems. And such trees can not only cause damage to your property but also pose a safety risk to the well-being of you and your family. So, how can you keep your trees in good condition and preserve the safety and beauty of your property? For one, you can ensure that the soil is rich with the necessary nutrients for healthy root growth by regularly fertilizing it with organic compost. Trimming and neatening the foliage is also important, as the weight from a thick canopy puts great pressure on the tree and can cause branches to snap. And, that’s about everything in your power. But a proper tree health management plan should also involve a detailed assessment from a professional tree care company. While you are able to detect only significant changes on the outside, arborists have both the knowledge and tools to successfully identify both visible and hidden health issues and weaknesses. 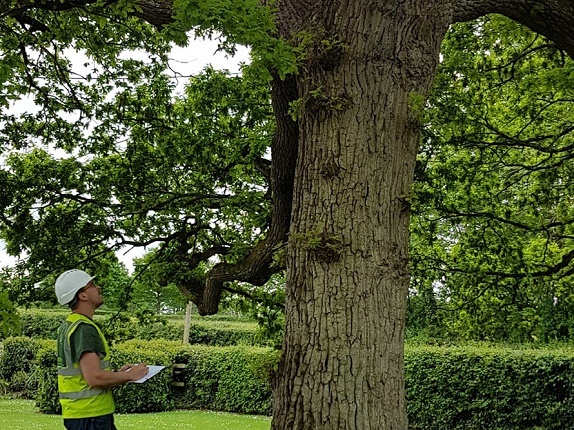 These tree care experts will use all kinds of advanced diagnostic tools, such as a resistograph and 3D imaging of the trunk using an impulstomograph instrument to gain a perfect insight into your trees’ condition. And after a thorough evaluation, they should be able to come up with a good tree health management plan to successfully deal with potential problems. Sometimes, the tree is generally vigorous but is in the early stages of a disease, fungal, or pest infestation. This is good news, as it can quickly recover with the help of remedial work by a qualified arborist. But sometimes, the tree shows signs or advanced decline and the only thing that can be done is to cut it down, which is a high-risk task to perform by yourself. In order to ensure that the work carried out is not detrimental to your property or your safety, it’s important that tree removal is performed by a professional arborist with the suitable competencies required by the Australian Qualification framework. Before hiring a tree care service, make sure that the arborists have the proper licenses and work in compliance with the 4373-2007 standard, as well as that they have a certificate 4 (or higher) in arboriculture. So, you’ve decided to take a courageous step and start your own company. Congratulations!